Olympic 400m champion and world record holder Wayde van Niekerk hopes to add the 200m to his IAAF World Championships schedule in London later this year, but it is not set in stone, according to his manager Peet van Zyl of In-Site Athlete Management. Van Zyl reiterated on Friday that Van Niekerk’s main focus for the season was to successfully defend the 400m title he won at the global showpiece in Beijing two years ago. “It will all depend on how his season progresses, racing both the 200m and 400m distances on the international circuit, including a few Diamond League meetings,” Van Zyl said. 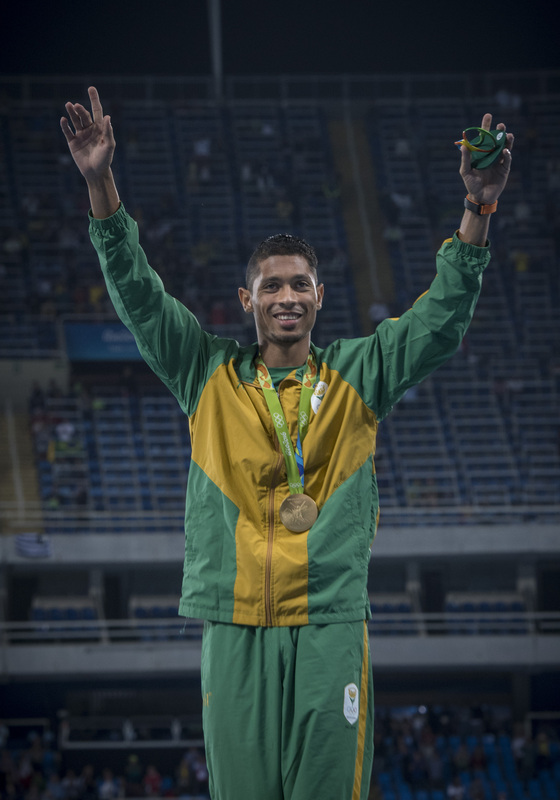 Van Niekerk made history at the Rio Olympic Games last year when he broke American Michael Johnson’s long-standing global one-lap record, crossing the line in 43.03 seconds. The 24-year-old athlete was the first South African to dip below 20 seconds in the 200m sprint when he set the former national record of 19.94 seconds at a meeting in Lucerne in 2015. He also won the African 200m title in Durban last year. In order to be considered for selection in the half-lap event at the World Championships, he would have to post a qualifying time of 20.31 or faster. Van Zyl confirmed they had sent a request to global athletics body the IAAF for a scheduling change, as the 200m heats were set to be held two hours before the 400m final on the current programme. However, the IAAF informed In-Site Athlete Management the correct procedure needed to be followed which required the national federation, Athletics SA (ASA) to make the request on behalf of the athlete. Van Zyl denied a report which suggested Van Niekerk was hoping to set up a meeting with eight-time Olympic gold medallist Usain Bolt at the World Championships. Bolt has publicly stated he would not be racing in the 200m but would instead focus on the 100m in the final event of his career.